Hola! 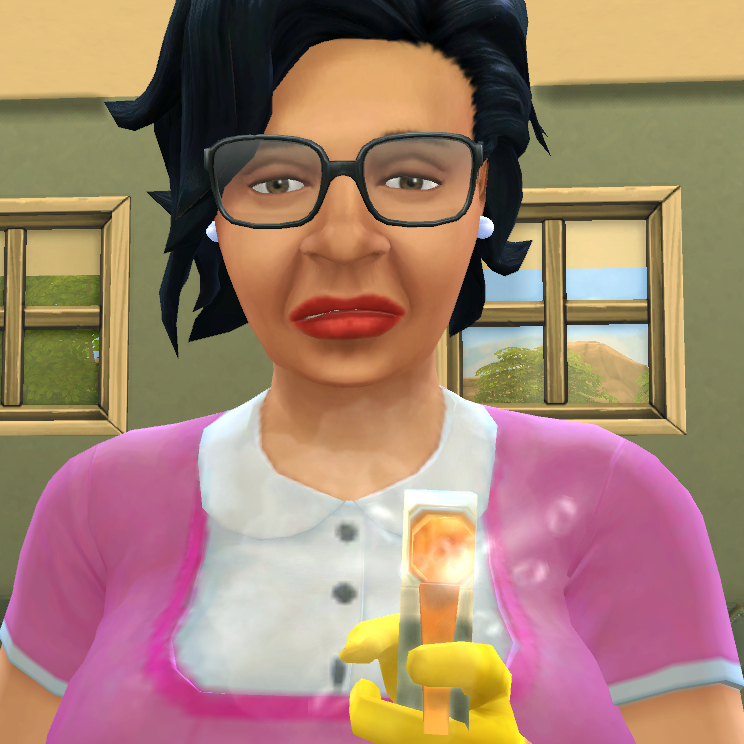 It's been a while since my last upload, and The Sims 4 has been keeping me plenty busy. 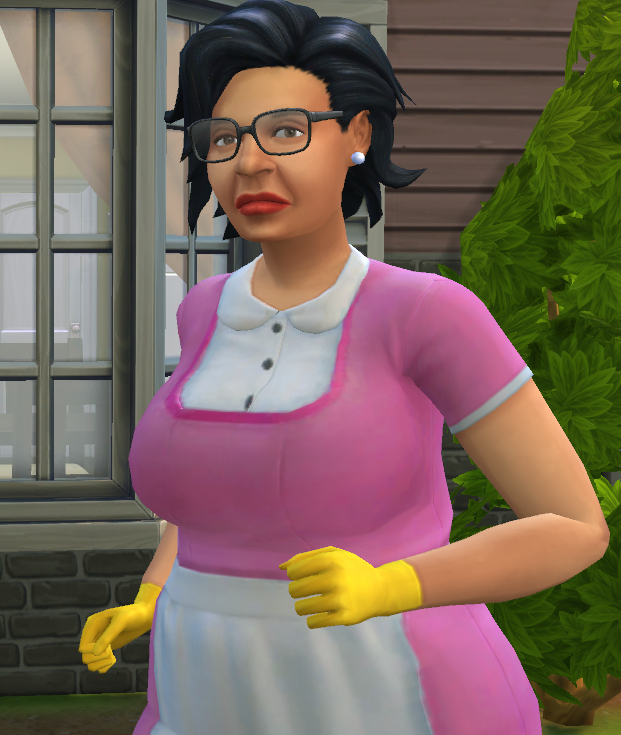 Seeing as how my old and awful upload of TS3 Consuela is my most viewed creation, I thought I ought to give her latest incarnation to y'all. She's nothing spectacular, but she's a lot of fun to play with, and she has been a staple in my games for years now. 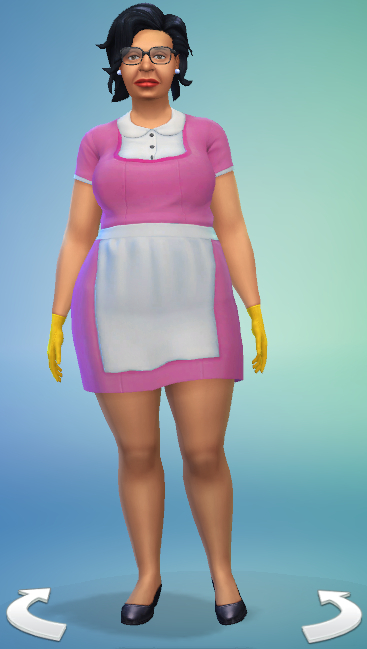 She includes her pink uniform, made by me and edited to be visible in CAS, unlike the default maid's outfit. 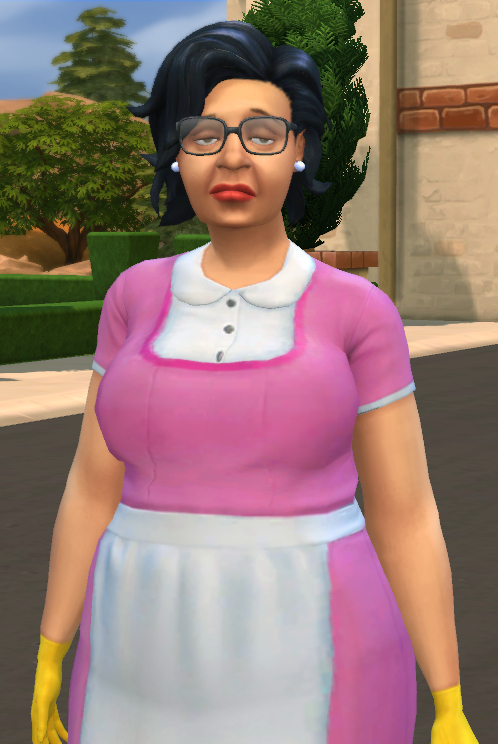 It won't appear on townies and is 100% compatible with Snaitf's unlocked outfits mod. 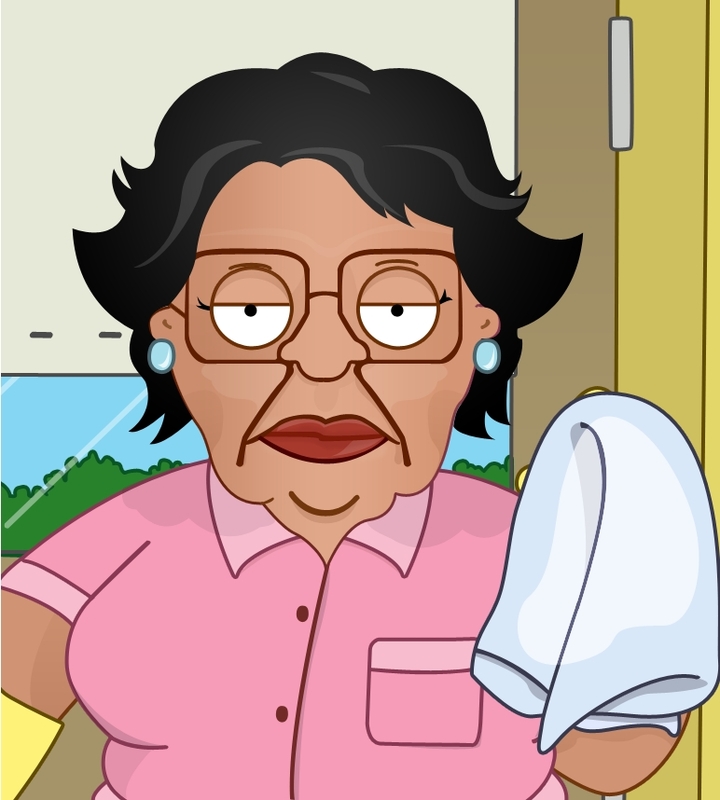 For those poor souls out there that don't know her, Consuela is a maid in Family Guy, whose apathy to the world at large is the source of great hilarity. So let her say no, noo as you say yes, yess to this download! 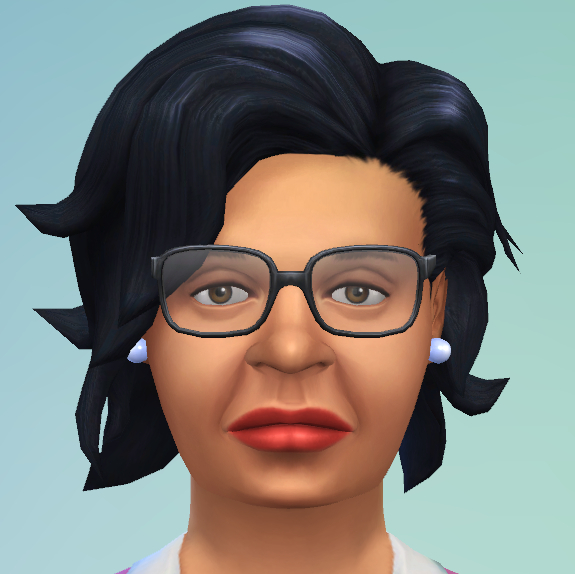 I tried to get her as close as I could, but there are limitations in CAS and I didn't want to force anyone to use the slider mod, since it messes up pre-existing sims. Consuela L�mon is Neat, Romantic and Gloomy, and can be found in your gallery. Just extract the archive, place the .package file in your Mods folder and the rest in your Tray folder. 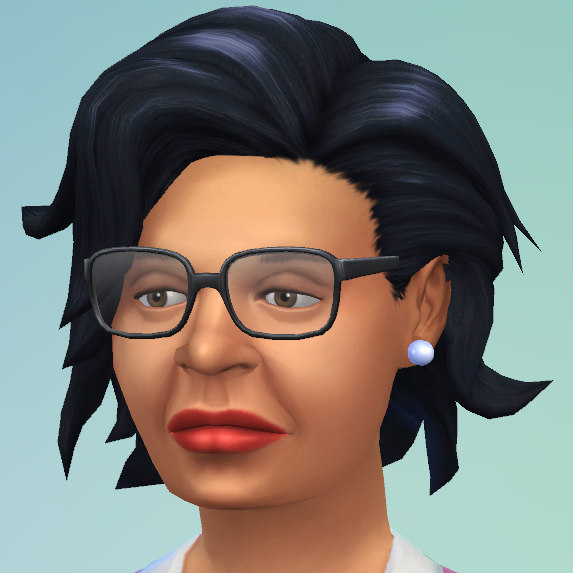 The folks at Family Guy, the creators of The Sims 4 Studio, and MTS for hosting my madness. 2. Extract: Use WinRAR (Windows) to extract the .package file(s) from the .rar or .zip file(s).